Great location even though not near center however parking next to hotel was available. The (sea-)view out of the apartment. Cleaning of the rooms. Handling at the receptiondesk. The view of room is excellent. We can see the terrific sea from the living room. Indoor swimming pool is a little small but it is still very good for children. The staff are friendly and helpful! The food and the restaurant is just amazing!! 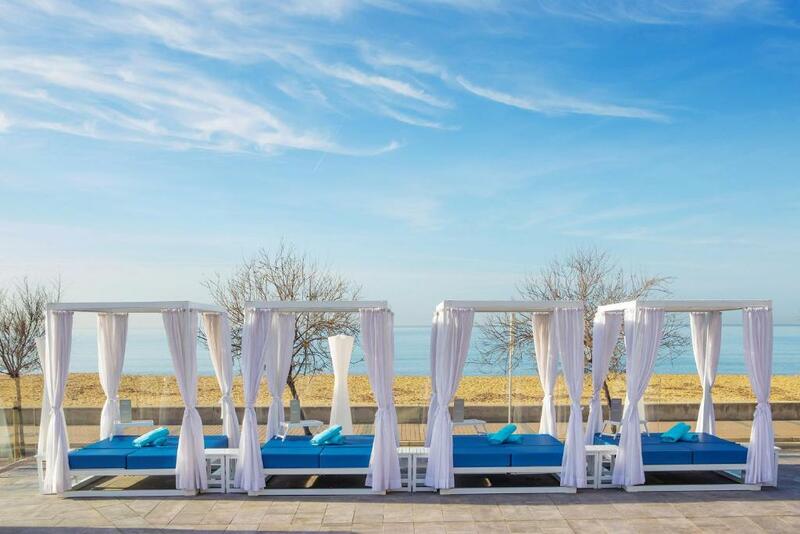 The beach is next to the hotel and the hotel itself offers both indoor and outdoor pools. On Friday evening, we also enjoyed the show they had organized after the dinner. The location was perfect! The beach was right next to the hotel! Very short journey ride from the airport. The bus stop into Palma was a 2 minute walk away, and the aquarium was just over the road! The breakfast and dinner was traditional Spanish food. The paella was delicious! Plus the hotel is across the street from the airport, beach and aquarium. The service there was great I would go there again anytime..location was perfect,rooms clean.The Hotel is actually underrated it deserves a 5 five star recognition. Right on the beach! You can reach the hotel by the airport bus (5€ one way) within 10-15 minutes - super convenient! The rooms are spacious and you get a bathrobe and slippers which we liked. The balcony (room 227) had an amazing view). Not too far from Palma - direct bus connection. The Palma Aquarium is right next to it. We will come again. The location was nice. Beds were comfortable. Lots of places close by to eat. Lock in a great price for Aparthotel Fontanellas Playa – rated 8.3 by recent guests! 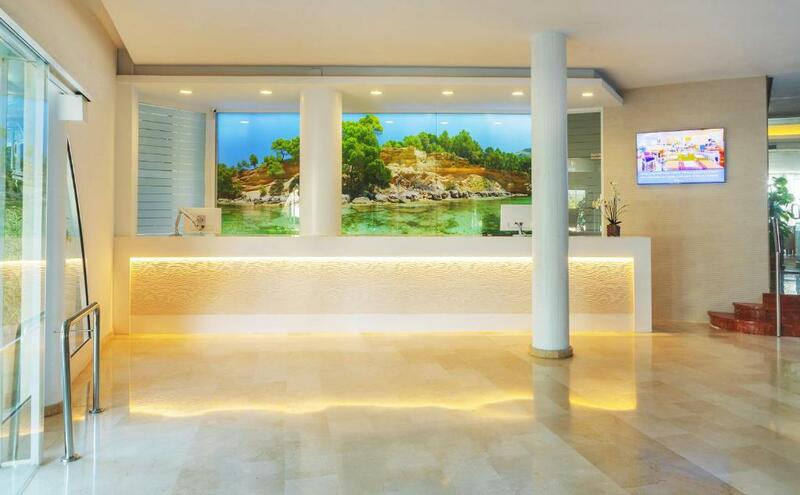 Aparthotel Fontanellas Playa This rating is a reflection of how the property compares to the industry standard when it comes to price, facilities and services available. It's based on a self-evaluation by the property. Use this rating to help choose your stay! 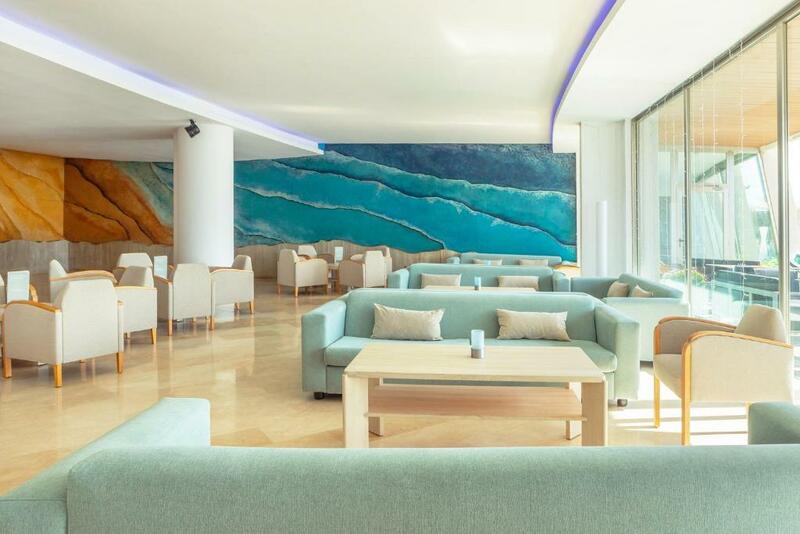 Located in the center of Playa de Palma and on the beachfront, Aparthotel Fontanellas Playa offers modern accommodations with flat-screen TVs. The complex overlooks the beach and includes an outdoor pool and spa. Fontanellas Playa has a large sports area with a mini-football pitch and guests will find a playground next to the complex. The spa has a sauna, hot tub and a seasonal indoor pool. WiFi is free in all areas incluiding in the rooms. Each of the rooms and apartments has a private bathroom, air conditioning and a furnished balcony. The apartments also have a fully equipped kitchen. The complex is located just 10 minutes’ drive from the center of Palma de Mallorca, and is surrounded by bars and restaurants. Palma de Mallorca Airport is just 1.9 mi away. 뀐 Located in the top-rated area in Playa de Palma, this property has an excellent location score of 9.1! When would you like to stay at Aparthotel Fontanellas Playa? This air-conditioned apartment features a double bedroom and a lounge with a sofa bed and flat-screen satellite TV. There is a private balcony with sea views, and the kitchen includes a hob, microwave and coffee maker. Please note that the children must be under 12 years old. This room comes with a private bathroom, air conditioning and a furnished balcony. 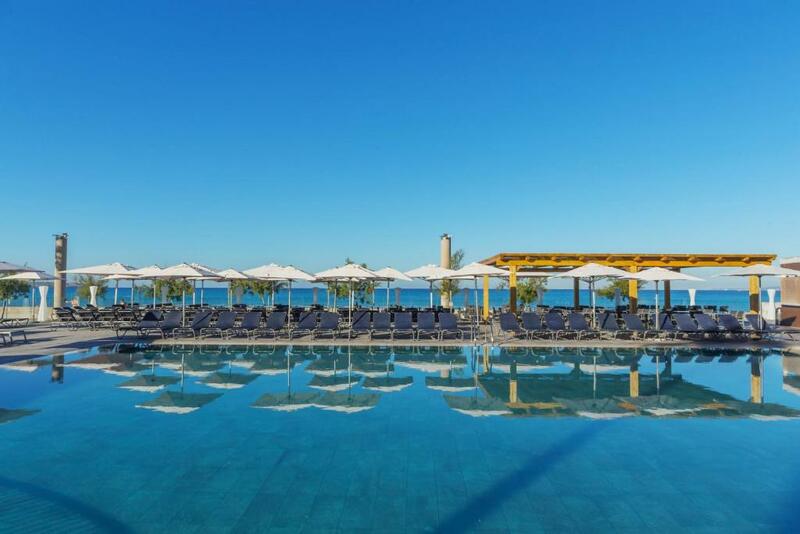 This superior apartment features views of the pool and the sea, free WiFi and a 48-inch Smart TV with satellite channels. There is also a kitchen with kitchenware. Located on the ground floor, this air-conditioned apartment provides a lounge area with satellite flat-screen TV, safe and a fully-equipped kitchen including microwave and fridge. Free toiletries and hairdryer are provided. Featuring sea views, this air-conditioned apartment provides a lounge area with satellite flat-screen TV, safe and a fully-equipped kitchen including microwave and fridge. Free toiletries and hairdryer are provided. This apartment features sea views, a seating area, kitchenware and satellite TV. This suite apartment features sea and pool views, free WiFi and a 48-inch Smart TV with satellite channels. There is also a kitchen with kitchenware. This apartment features sea and pool views, free WiFi and a 48-inch Smart TV with satellite channels. There is also a kitchen with kitchenware. 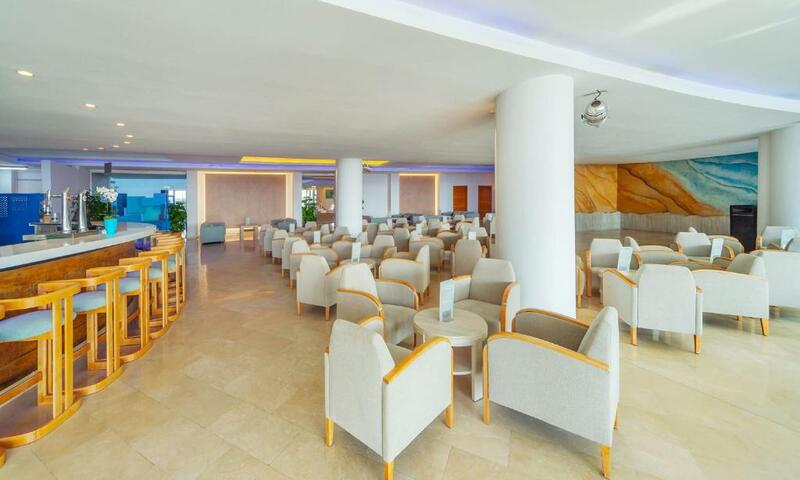 Featuring sea views, this apartment has a seating area, kitchenware and air conditioning. Please note that the child must be under 12 years old. This twin room has a balcony, sea view, sofa, kettle and air conditioning. This apartment has a balcony, satellite TV and air conditioning. This 3 Bedroom deluxe apartment set amid tropical landscaped gardens features sunny balconies off living are overlooking pool or tennis court. Foxtel, wireless internet, air conditioning and stair access. Apartments are 80 square yards. This apartment features a balcony, flat-screen TV and microwave. This apartment features a balcony, bathrobe and view. 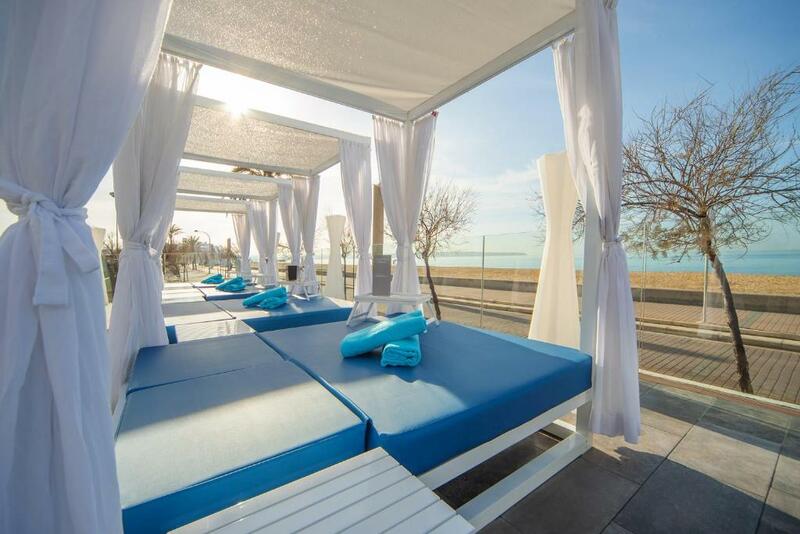 Set on the beachfront and just 5 minutes from the airport as well as 10 minutes from the centre of Palma, Aparthotel Fontanellas is located in a tranquil area. We are in a privileged location where you can enjoy a great holiday. We have a friendly and kind service, great food and we are near the beach. We have a large gym and a bicycle garage.